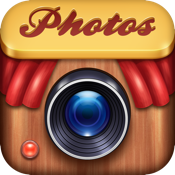 Get awesome photo strips for Facebook, Instagram, Twitter, MySpace or any other social network! - Easy to use – snap and share in seconds! - Ability to use Front and Rear facing camera! - Enhanced editing features: tons of grids and cool effect to apply! - Custom and creative frames! - To create memories with their halves!